I constantly sing praises about GHD to my friends and family. Their high-performance, no-fuss straighteners and other styling tools/ products have been getting rave reviews for over a decade now – and it’s fair to see why! I’ve tried and tested products from pretty much every collection they’ve released, and I’ve not been disappointed yet. With the recent release of the Platinum series, was I about to be disappointed…at last? Absolutely not. The Platinum collection, or if you prefer, the new Platinum Styler, is perhaps GHDs most promising release yet. Instead of consisting of stylers of different widths, much like the V Gold Collection did, the Platinum collection is made up of one brand new straightener which is available is two colours, alongside a gift set option. So, where to start with the huge list of new product features that I found? Tri-zone® technology- it may sound like something from a sci-fi film, but this brand new heating method uses three sensors in each plate of the styler to make sure that the ideal temperature to style your hair with is maintained across the entire plate. For you, this means less damage to your hair, and more shine! A wishbone hinge-this new hinging method allows for perfect plate alignment, which in turn gives you more control to curl, wave, and straighten as you please. Advanced plates- make for a professional finish, with shine that’ll last all day. Heat resistant protective plate guard- this handy accessory allows you to pack your styler away straight after use. Also up for grabs is the gift set. I see no reason as to why the straightener alone wouldn’t make a great gift, but the co-ordinating heat mat/ roll bag, two handy sectioning clips, and a stunning gift box make for an extra special treat. The heat mat/ roll bag offers you a convenient and safe area to place your straighteners whilst in use, whilst the roll bag gives you an ideal way to store/ transport your straighteners with the utmost safety. It may seem like a lacklustre addition, but the two sectioning clips really do make managing your hair whilst styling miles easier. The gift set is available with either a black or white straightener, and is on Amazon for an exceptional price. 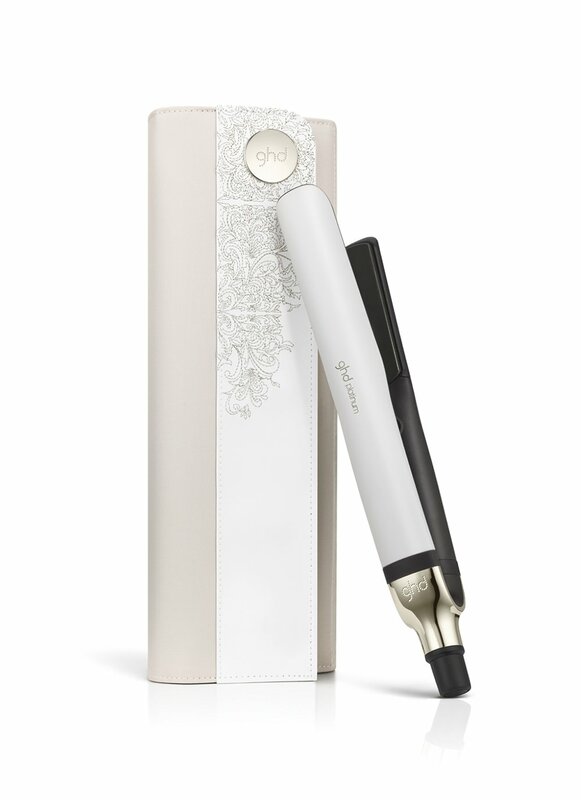 Seeing as it’s currently one of the safest, most innovative, and most stylish hair straighteners on the market, I can’t see why you wouldn’t want to buy it for such a price. The GHD Platinum stylers are practically faultless. The smoother, more advanced plates allow for effortless styling with minimal damage, which makes a Platinum styler a wise choice for people who are first starting out with heat styling or enjoy experimenting with styles- you’ll be less likely to damage your hair, even with more-than-regular use. It’s pleasing to see one of the world’s leading hair styling brands to do so much to increase the safety of their products; be it the Tri-zone® technology that aims to reduce heat damage, or the heat resistant protective plate guard that lessens the risk of burns, damage to property, or fire. As well, I think the sleeker, streamlined, and more modern design makes for a styler you’ll want to show off as much as your new hairdo! If the Platinum styler seems like it’s too good to be true, that may be because it is for some. One flaw of this styler is the lack of temperature control. 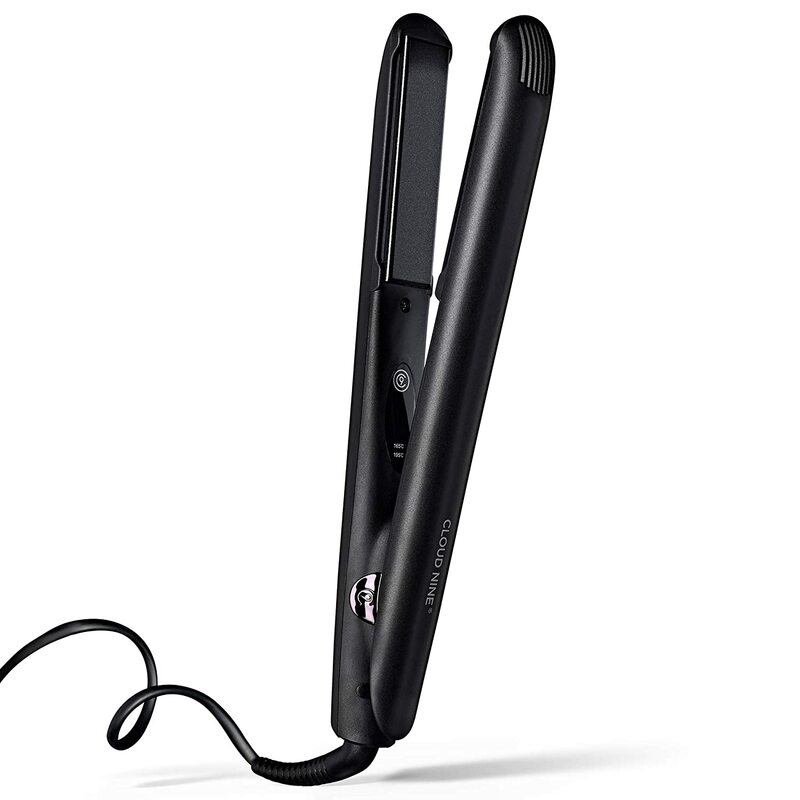 The straightener operates at a constant 185⁰, which is said to be the best temperature for hair styling. For those of you with fragile, fine, or already badly-damaged hair, this may be too high a temperature for you. 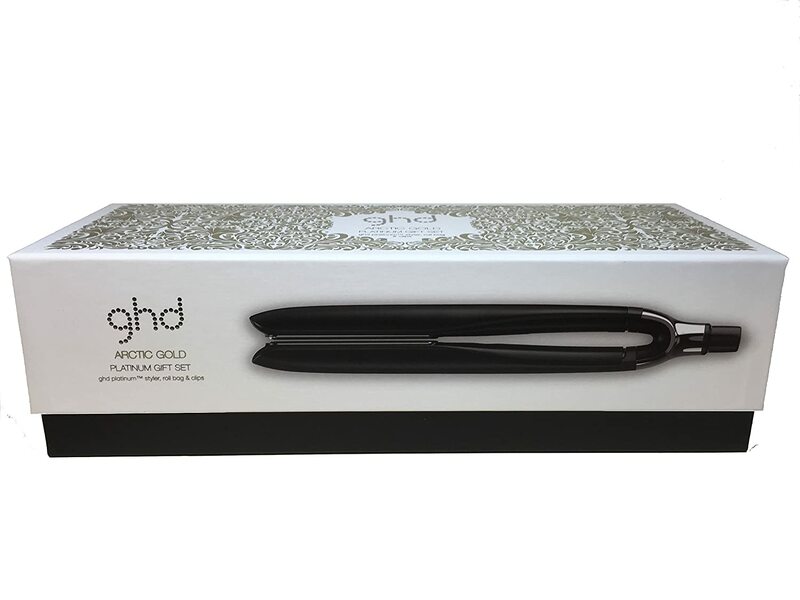 However, the lack of temperature control is found across every GHD straightener, so it would be unfair to pin this issue to the Platinum range alone. Another thing worth noting is snags. I encountered a few tiny ones whilst styling, but the smoothness of the plates (and a bit of combing) sorted them right out. You could snag your hair in any hair straightener, though; so ensure that your hair is fully dry, detangled, and free of excessive product before you do get styling. Yet another innovative collection from GHD sees an array of new and exciting features being introduced that you won’t find anywhere else in the GHD range of products. The IV Styler is always going to be known as the original GHD styler that started the GHD craze (to me, anyway), but the stylers of the Platinum series are chock full of features that may just leave the IV Styler looking a bit bare and outdated (sorry!). The Tri-zone® technology and high gloss plates make for a hair straightener which is less likely to damage your hair, will increase shine, and will leave you looking like you’ve just left the salon every time you use it. As much as I love the IV Styler; for someone who uses a straightener practically every day, the Platinum is a must-buy. I would highly recommend a styler from the Platinum collection to practically anyone, but especially for those who are going to be using their styler everyday/ most days. I found it extremely difficult to find any downsides to this straightener. To really put this styler to the test, I attempt to straighten, curl and wave my hair with it. The straightener performed beyond belief each time- I’m not the most skilled of people when it comes to waving or curling hair, but the GHD Platinum Styler made it seem like the easiest thing in the world. The advanced plates mean that the straighteners glide through the hair with ease- I barely felt any snags! I also found that my hair looked a lot glossier than it would after using other hair straighteners. Although it may sound rather made up, I really felt the benefit of the Tri-zone® technology. As well as increasing the shine factor, I believe it made my hair feel less ‘frazzled’ and damaged by the heat styling (of course, I would still recommend using a heat-protect spray, as I would with any sort of hair styling method that involves heat. I made a point of testing out the heat resistant protective plate guard too. After using the styler for my straightening/waving/curling session, I tried using the plate guard, and it worked well! The plate end of the styler did not feel too hot to the touch- even straight after being switched off. Despite this, I would still pay caution to storing your straighteners, leaving them on a flammable surface, or transporting them before they have fully cooled down (this would be where the heat mat/ roll bag from the gift set would come in nicely, just saying). I have always firmly stood by GHD and will continue to do so, with the Platinum collection adding to their fine list of quality straighteners! Although there are a few minor drawbacks that I had to mention, this doesn't take away from the fact that these straighteners are a fantastic product and deliver some truly remarkable results. Can you still accomplish salon quality hair straightening at home?